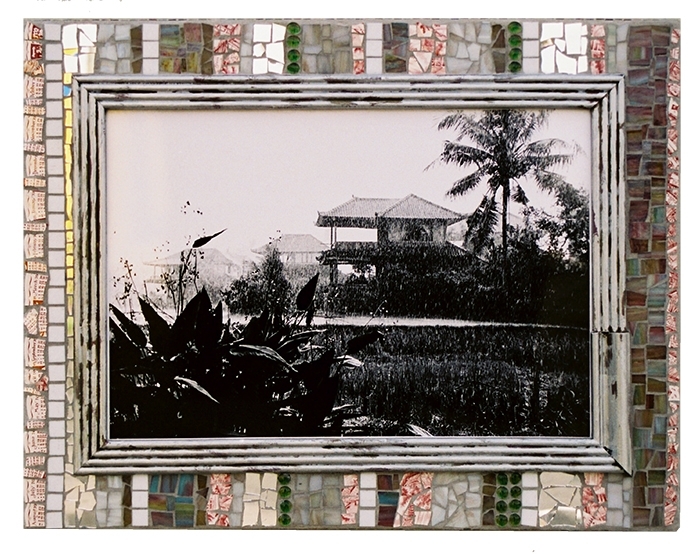 BW photos in handmade mosaic frame 26" x 32"
Ubud Bali is a magical place full of spiritual and happiness. 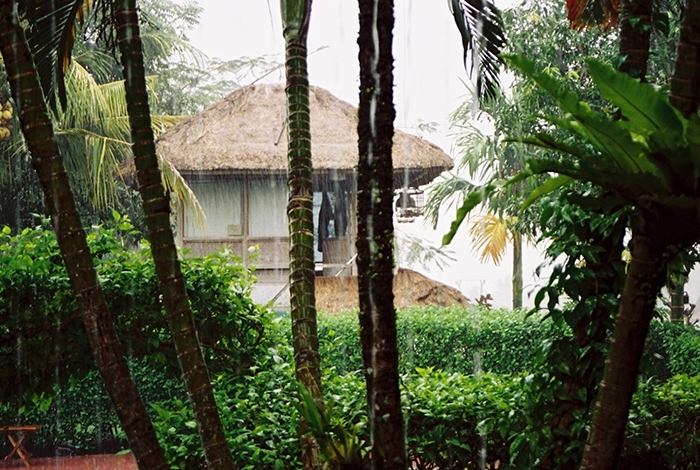 I stayed at the Melati Cottages in 2001 and this photo is a view from my room. It looks exotic as the rain trickles down onto the rice paddies, when in fact this is a view of the swamp infested pond outside my room. I returned home after dinner with a snake in my room. 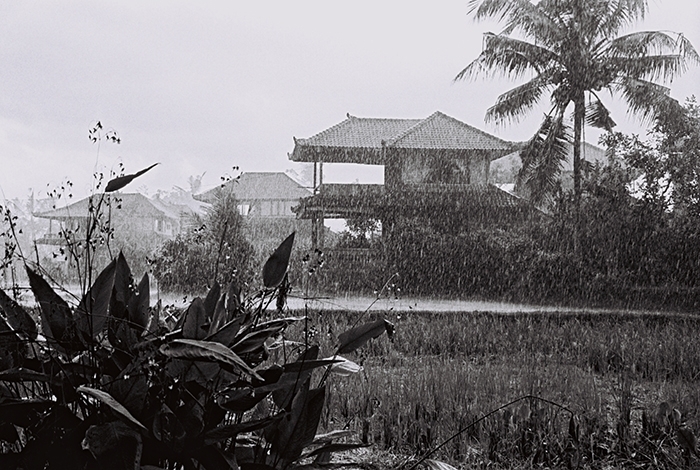 This shot captured a mood of the Melati Cottages in the Rain.